Stepping Stones | Just Shooting Memories! At the Chattanooga Aquarium there is a stream that starts near the entrance of the building and runs along side and down to near the river. It is a completely man-made stream and is great for children to play in. 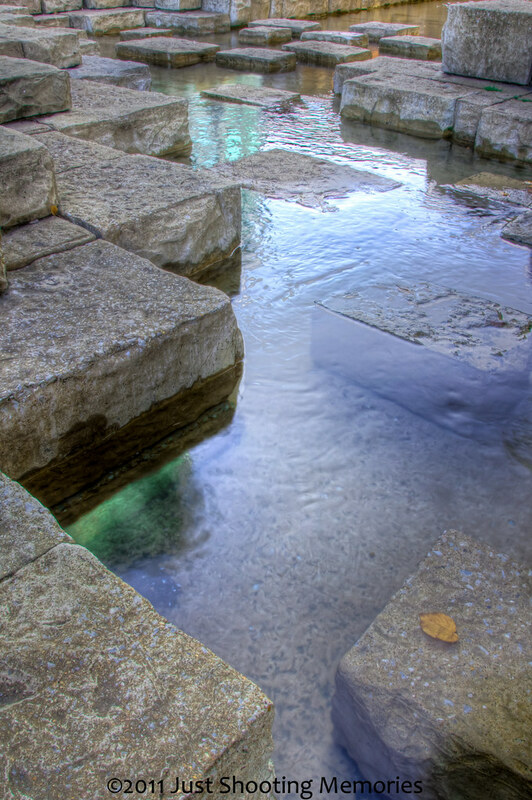 About halfway down, I found these stone blocks placed in the water. It was one of the only places without someone in it.